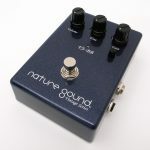 We announce to add VSBB in nature sound Vintage Series. 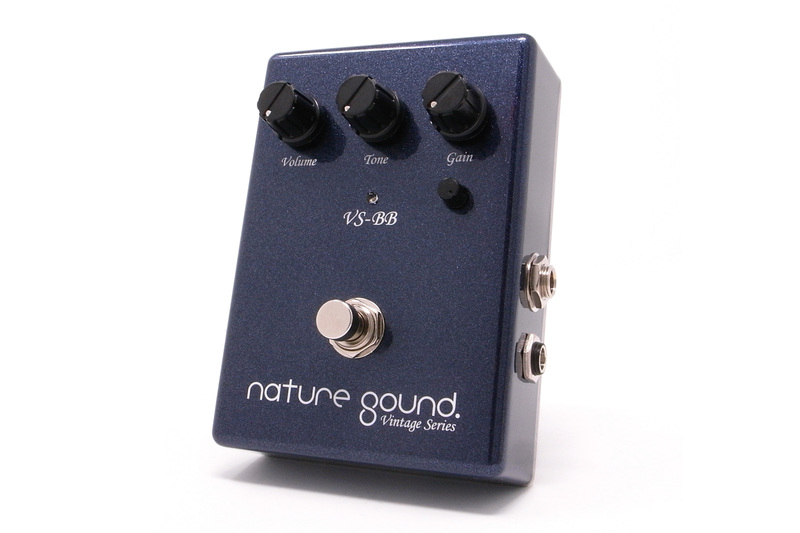 VSBB is an over drive / clean booster pedal solving the weak point of its big-named original model. We once released VSBB (ver.1) in 2013 only a small number. We brushed up and reproduce them. 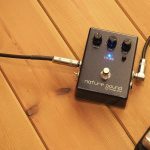 Our Vintage Series is based on the legendary pedal but re-interpreted for pulling up to the nature sound quality. We analyze from every aspects including its tone, controllability of volume and gain, frequency characteristic, its sustain etc..
VSBB has Vitamin-Q oil condenser on initial input stage. They bring unconstrained silky high frequency and stubborn mid-range. VSBB has buffered / true-bypassed switch to maximize the strength of oil condenser. You can choose whichever match to your system. 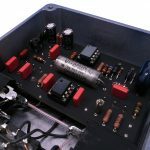 And also, we chose Telefunken NOS diodes to make you irresistible to play more. They brings VSBB characteristic rich over tone and sticky bold mids. We add the bottom shape knob to fit modern music scene. Former 2013 version did not have this function. Full up position is the closest sound to historical “that” sound and in 12 o’clock position is almost same to 2013 VSBB’s sound. We had VSBB listen to Warble Tone for initial aging treatment. The sound of oil condenser will get more meaning more you play. This is the most specific feature of oil condensers. 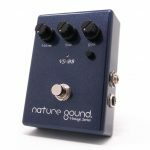 VSBB will grow up more musical with your guitar and play.